Create and edit checking profiles. 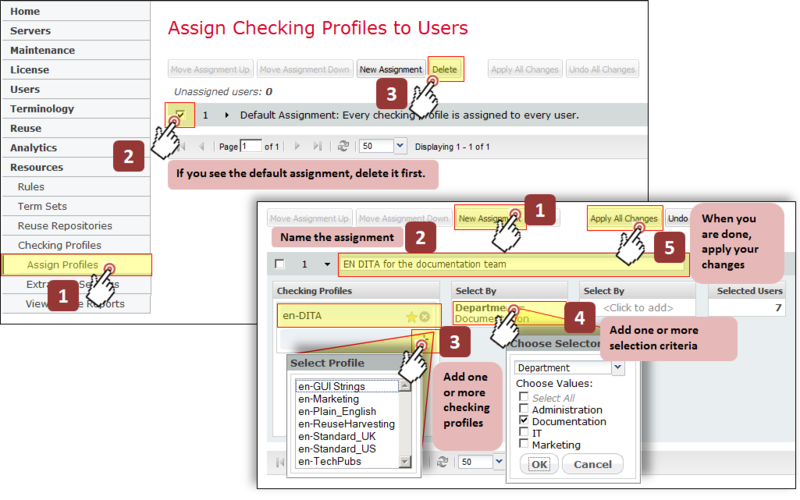 Assign checking profiles to users. Save extraction settings and add them to checking profiles. 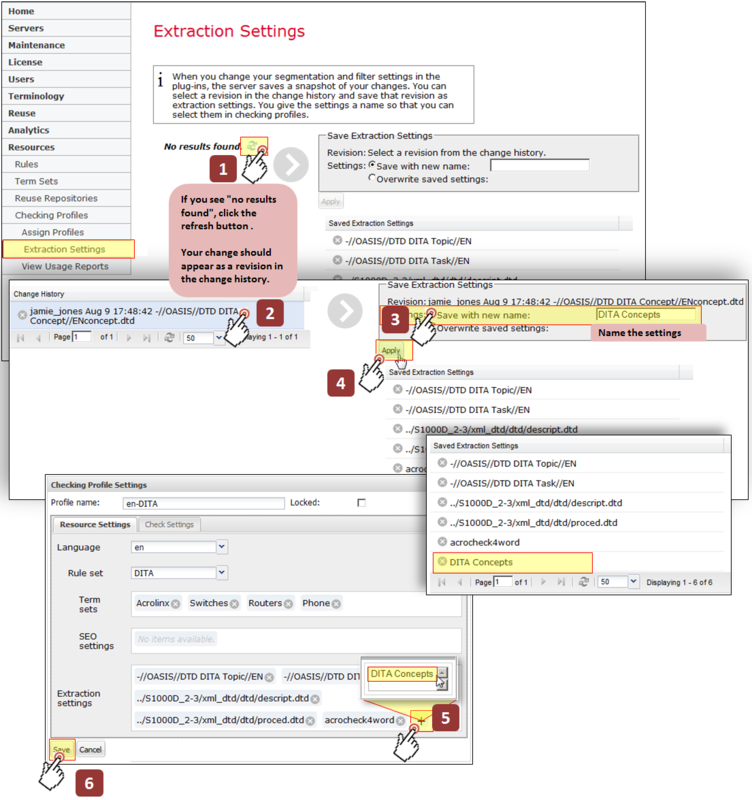 The following illustrations provide you with a quick overview of how to perform these tasks in the checking profile interface. To see the interface, you must add the core server property checkingProfiles.enabled=true . Unless you are a super administrator, you must also have the role "profile administrator". For more detailed instructions on how to get started with checking profiles, see the first steps guide .